AquiDerm offers service delivery in the areas of dermatology and inflammation. Companies working with AquiDerm receive an authorization under the research tax credit (C.I.R.) with the doubling of the tax credit for R & D expenditure. 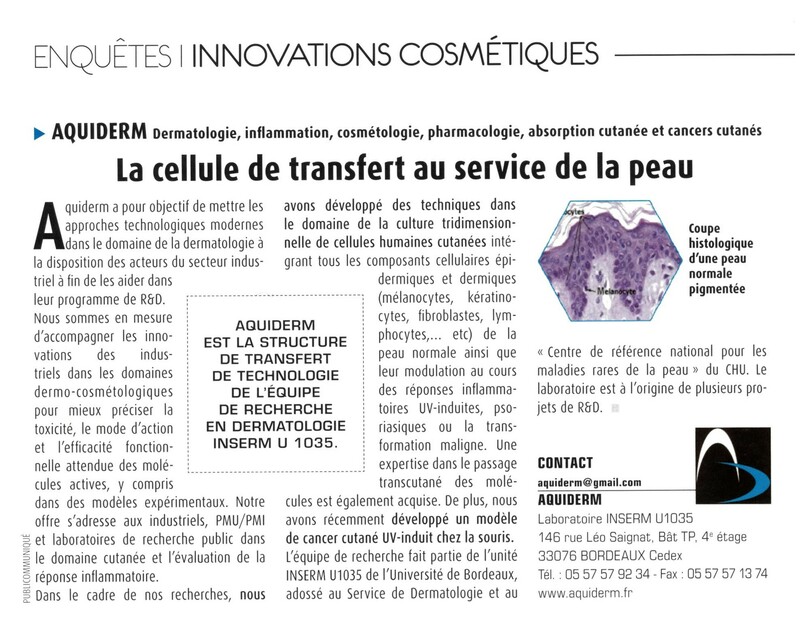 AquiDerm is the Inserm Research Unit Dermatology Research team of technology transfer structure U1035 housed at the University of Bordeaux (map). It is attached administratively to the ADERA (Association for the Development of Education and Research with universities, research centers and businesses in Aquitaine).